Although the masses and most of the financial media blame hedge funds for their exorbitant fee structure and disappointing performance, these investors have proved to have great stock picking abilities over the years (that’s why their assets under management continue to swell). We believe hedge fund sentiment should serve as a crucial tool of an individual investor’s stock selection process, as it may offer great insights of how the brightest minds of the finance industry feel about specific stocks. After all, these people have access to smartest analysts and expensive data/information sources that individual investors can’t match. So should one consider investing in Atlassian Corporation Plc (NASDAQ:TEAM)? The smart money sentiment can provide an answer to this question. 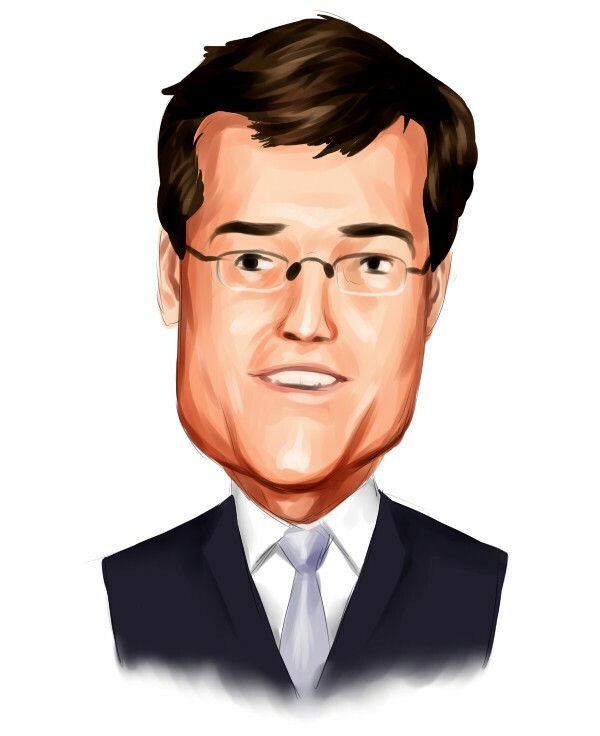 Atlassian Corporation Plc (NASDAQ:TEAM) investors should pay attention to an increase in support from the world’s most elite money managers recently. TEAM was in 34 hedge funds’ portfolios at the end of the fourth quarter of 2018. There were 28 hedge funds in our database with TEAM holdings at the end of the previous quarter. Hedge funds have never been more bullish on TEAM than now. This is usually a very bullish signal. For example hedge fund sentiment in XLNX was also at its all time high at the beginning of this year and the stock returned more than 46% in 2.5 months. We observed a similar performance from Progressive Corporation (PGR) which returned 27% and outperformed the SPY by nearly 14 percentage points in 2.5 months. Hedge fund sentiment towards IQV, BAM and CRH hit all time highs at the end of December, and all of these stocks returned more than 20% in the first 2.5 months of this year. We’re going to take a gander at the recent hedge fund action regarding Atlassian Corporation Plc (NASDAQ:TEAM). What have hedge funds been doing with Atlassian Corporation Plc (NASDAQ:TEAM)? Heading into the first quarter of 2019, a total of 34 of the hedge funds tracked by Insider Monkey held long positions in this stock, a change of 21% from one quarter earlier. 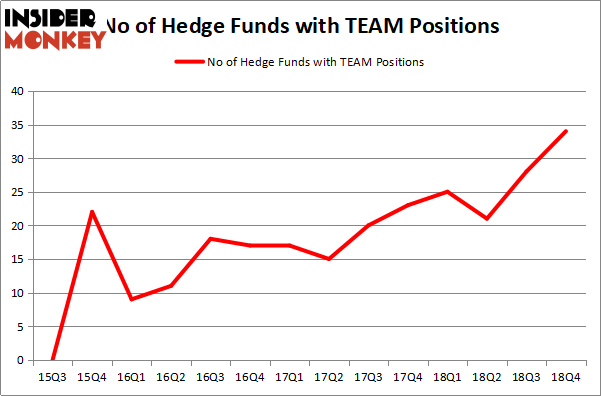 On the other hand, there were a total of 25 hedge funds with a bullish position in TEAM a year ago. With hedgies’ sentiment swirling, there exists a select group of notable hedge fund managers who were upping their stakes meaningfully (or already accumulated large positions). The largest stake in Atlassian Corporation Plc (NASDAQ:TEAM) was held by Tybourne Capital Management, which reported holding $313.4 million worth of stock at the end of September. It was followed by Renaissance Technologies with a $237.4 million position. Other investors bullish on the company included Foxhaven Asset Management, Citadel Investment Group, and Two Sigma Advisors. As aggregate interest increased, some big names have been driving this bullishness. Sandler Capital Management, managed by Andrew Sandler, initiated the most outsized position in Atlassian Corporation Plc (NASDAQ:TEAM). Sandler Capital Management had $5.8 million invested in the company at the end of the quarter. Nehal Chopra’s Ratan Capital Group also made a $5.5 million investment in the stock during the quarter. The other funds with new positions in the stock are Parvinder Thiara’s Athanor Capital, John Kim’s Night Owl Capital Management, and Philippe Laffont’s Coatue Management. Let’s now review hedge fund activity in other stocks – not necessarily in the same industry as Atlassian Corporation Plc (NASDAQ:TEAM) but similarly valued. These stocks are Zimmer Biomet Holdings Inc (NYSE:ZBH), Lam Research Corporation (NASDAQ:LRCX), AutoZone, Inc. (NYSE:AZO), and ArcelorMittal (NYSE:MT). This group of stocks’ market values are similar to TEAM’s market value. As you can see these stocks had an average of 31.25 hedge funds with bullish positions and the average amount invested in these stocks was $934 million. That figure was $1085 million in TEAM’s case. AutoZone, Inc. (NYSE:AZO) is the most popular stock in this table. On the other hand ArcelorMittal (NYSE:MT) is the least popular one with only 13 bullish hedge fund positions. Atlassian Corporation Plc (NASDAQ:TEAM) is not the most popular stock in this group but hedge fund interest is still above average and sits at its all time high. Our calculations showed that top 15 most popular stocks among hedge funds returned 19.7% through March 15th and outperformed the S&P 500 ETF (SPY) by 6.6 percentage points. Hedge funds were also right about betting on TEAM as the stock returned 23.9% and outperformed the market as well. Were Hedge Funds Right About Flocking Into Sempra Energy (SRE)? Here is What Hedge Funds Think About AutoZone Inc. (AZO) Hedge Funds Dropped The Ball On Fortive Corporation (FTV) Here is What Hedge Funds Think About BT Group plc (BT) Is IQVIA Holdings, Inc. (IQV) A Good Stock To Buy? Were Hedge Funds Right About Souring On Canon Inc. (NYSE:CAJ)?